His poetry is also featured in this issue of IVJ. mentally deficient. He is not. are no collected objects from an earlier life—no sense of gathered time. errands: trips to the grocery store, the liquor store, and sometimes the Laundromat. The only time Arthur leaves #821 is to walk down the hall to the bathroom. talent. 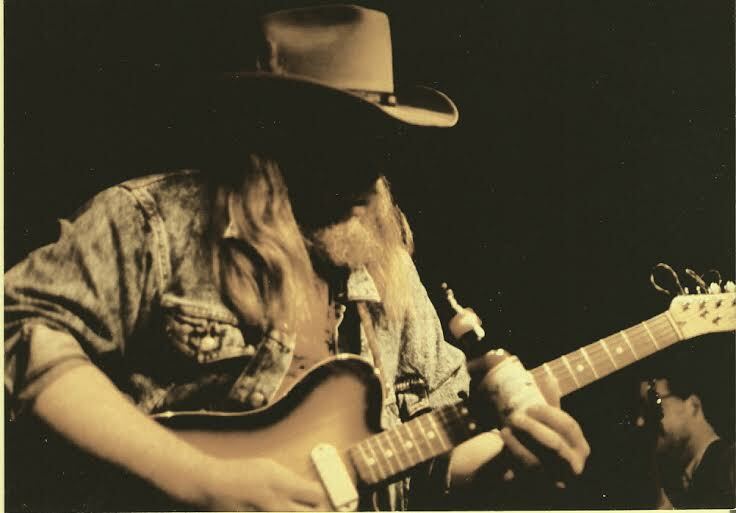 He is a master musician—an expert guitarist in the Mississippi Delta style. and some that are missing from the twelve-tone Western music scale altogether. has been going on for months. The two music lovers have never met. whole of Arthur’s tiny room is filled by his impressive voice. spoke at the ‘Sermon on the Mount’ bring him comfort in these difficult times. With each line, the voice of Brother Thomas swells. And blessed are the pure in heart, for they shall see God. “All over,” thinks Arthur. The dramatic prayer is always the grand finale. has been sitting knee to knee with Arthur, who’s perched on the edge of the bed. word “friend” associated with his name. Arthur shakes his head in denial. From the other side of the door there’s a fit of violent coughing. Then a voice. Arthur immediately recognizes the name but is still hesitant to open the door. “Can you help me?” asks the boy. Arthur opens the door slightly, keeping the chain latched. Arthur unlatches the chain and opens the door. man’s warped features and realizes why he has never seen him outside of his room. heartbreaking little man would have filled it. To keep from falling, the boy leans against the doorjamb. “Would you like something to drink? Some water or something?” asks Arthur. Before the boy can answer, he drops facedown just inside the door. Shadowed in the half-light of a table lamp, Arthur sits on the bed watching the boy. go.” Yes that’s it. Arthur is certain. loneliness he has carried for too long is about to be eliminated. who will do it. Adam is sure of it. Arthur stands over the boy for a long while, trying to make up his mind. “Blessed are the merciful,” says Arthur. rain tap against the window. room inside for anyone except Arthur Nagel. and splattering onto the linoleum floor. reflection of light on wet cobblestones, then he turns and walks to the closet. legs dangling over the edge of the building. He reaches back and picks up his baby—the only comfort he’s ever really known. Closing his eyes, he leans lovingly over the smooth, wooden curves. that burns for a while—then goes cold.